Bungo: Stories of Desire | Bungo Sasayakana Yokubo (2012) - segment "Nigitta Te"
mj Dec 02 2018 2:07 pm I just finished watching How To Become Myself and her acting was superb. It was realistic. It was as if she was the character herself. To think that she was 15 then, surely she's improved a lot since. I'll definitely watch more of her shows. Apparently she was also in 1L of Tears but I was too young when I watched it so I couldn't remember her. Rocky B. Aug 14 2017 9:20 am Just watched her Godness of Exam series on Sony Channel and so impressed in her acting skill , 4 more day before her bd so Happy Birthday to you Riko , wishing you all hapiness. topaz Aug 05 2016 11:37 pm Riko Narumi has got to be one of the most talented actresses I've ever seen. Their approach to the acting is done so well, there are times where it comes off as if they really are experiencing those emotions. Definitely one actress I always look forward to watching, as time and time again have proven to be a tour de force in the acting world. 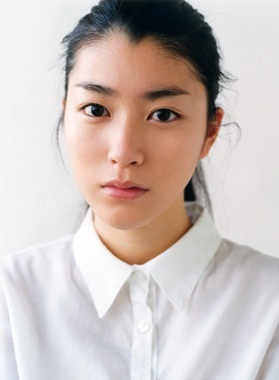 Anekimarklunao Dec 07 2015 6:57 am Good actress i like her eyebrows. Haha keep up the goodwork rikosan. Mike D Feb 22 2015 4:50 am How popular is she in Japan? Joanne Kim Mar 12 2014 11:26 pm I really adore her. She's truly an amazing actress, and talented person. She's indeed beautiful and has a genuine personality. So far, she's my favorite. Keep up the good work! I'll be rooting for you. kimkyohara Dec 20 2013 9:21 am omg.... i love how innocent she is. aoi Aug 13 2012 5:22 pm narumi riko is my best Japanese actress. Her acting is mindblowing and she is beautiful. I love her. hilty&bosch Nov 19 2011 12:47 am I love Narumi Riko~! She's so beautiful and talented; her acting is amazing! :) I admire her so much! Matsumoto Ran Apr 23 2011 12:52 pm @dramafreak1: I TOTALLY AGREE WITH YOU! Chester Sep 16 2010 7:15 am Man!! Ka-wa-ii ^_^ Hope to see you in personal !!! jom Jul 31 2009 10:20 pm hi.. my beloved riko i hope i could see you in person..